I LIVE in a part of the world holidaymakers flock to. Beaches are certainly part of the attraction but, for me, it's hard to go past the national parks. When wet weather let up on Easter Sunday, my partner and I pulled on our walking boots, grabbed our cameras and walked the Piles Creek Loop in Brisbane Water National Park. 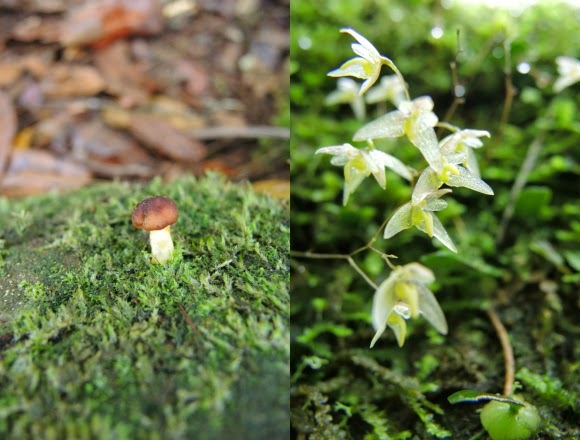 The walk, my favourite on the Central Coast, takes about three hours at a steady walking pace, but we took our time and stopped to photograph the abundant fungi flourishing in wet conditions after the rain. 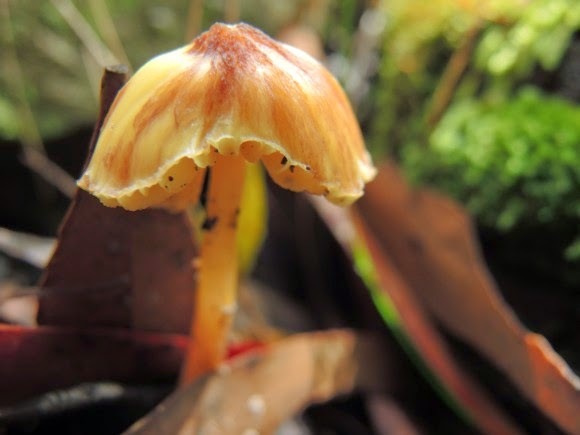 My partner is a National Parks and Wildlife Service Discovery Ranger and will be hosting a much shorter fungi walk starting at the Palms Picnic Area, in Munmorah State Conservation Area, on Sunday, April 12, from 9am. The conditions are perfect for what should be a spectacular display of fungi. Take your camera, it's a magical treasure hunt that will have you walking through bush with new eyes. To book, contact the Gosford office of the National Parks and Wildlife Service. 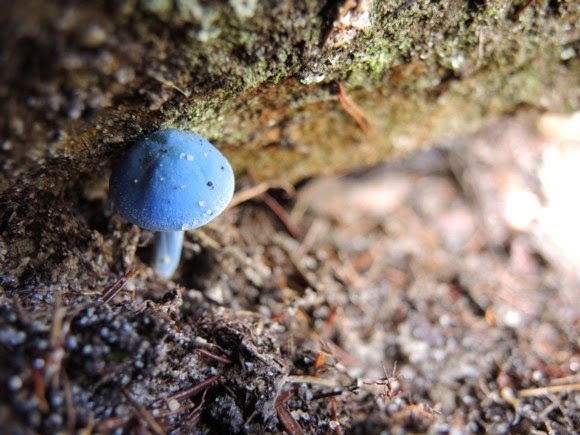 Ooh I love little fungi , doing their fungi thing in their own little world. They're addictive. Once you see one you keep looking and hunting hoping to see another. beautiful!!!! i am completely taken with the blue one! the forest fairies were on my side last year when i stumbled upon a patch of purple fungi that was my favorite find so far. did you take your nyc trip yet? Bron, we don't pick. We just admire and photograph. I'd be none the wiser about which ones to eat other. 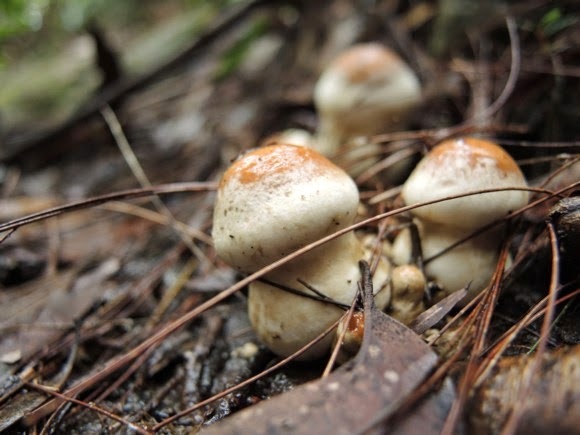 I am heading down to the Southern Highlands before the month is out and hope to be eating delicious pine mushrooms.